Testaroli is propably the oldest type of Italian Pasta. 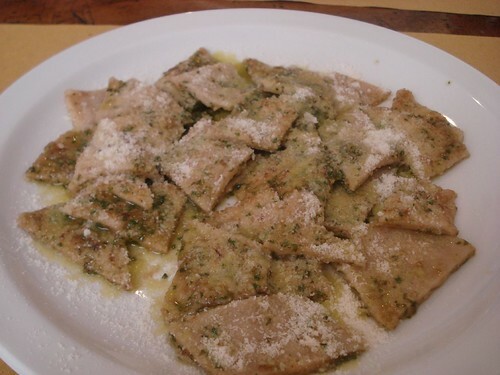 Testaroli were know since the Roman Empire and Testaroli with Pesto sauce are a traditional dish of Lunigiana, a beautiful area in the North-West part of Tuscany, bordering Liguria, where pesto was invented. The name Testaroli comes from “testo” which was a domed griddle (made with cast iron or stone) on which the pasta dough was cooked. The dough is just flour and water, in the past only water and Farro from Lunigiana were used (a typical grain of the area) . Testaroli is a dish which belongs to the so called “poor cousine” and is a part of cooking tradition of Lunigiana. Discover this wonderful dish and be part of our culture!